08.11.2018: Following the Final round at Irwindale Speedway where a number of championship titles were decided, Formula DRIFT relocated to Las Vegas for SEMA 2018 last week. 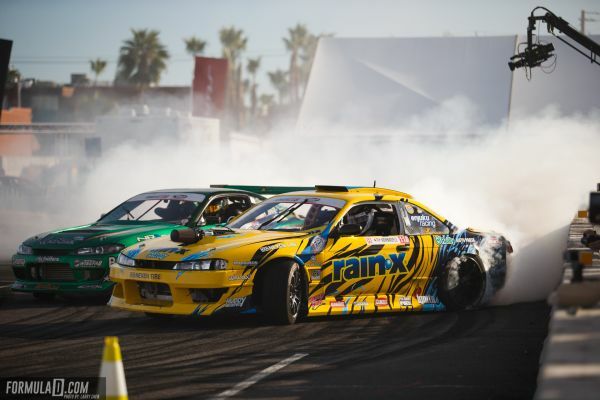 Following the Final round at Irwindale Speedway where a number of championship titles were decided, Formula DRIFT relocated to Las Vegas for SEMA 2018 last week. During its annual press conference, Formula DRIFT president Jim Liaw was able to reflect on a very successful season and look forward to 2019. 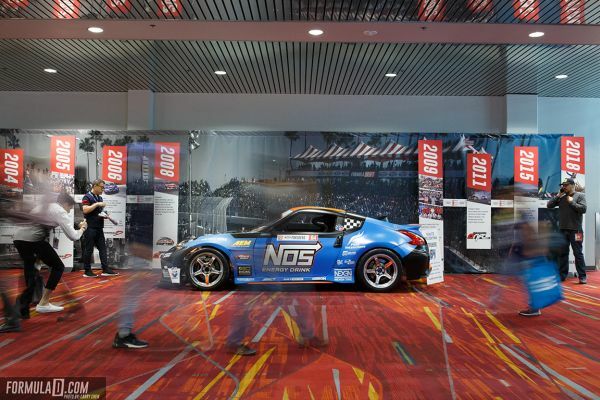 With many driving demonstrations taking place at SEMA, Formula DRIFT cars and drivers played a major role in entertaining the crowds and giving people the opportunity to sit alongside them as they demonstrated the prowess of particular vehicles and parts. 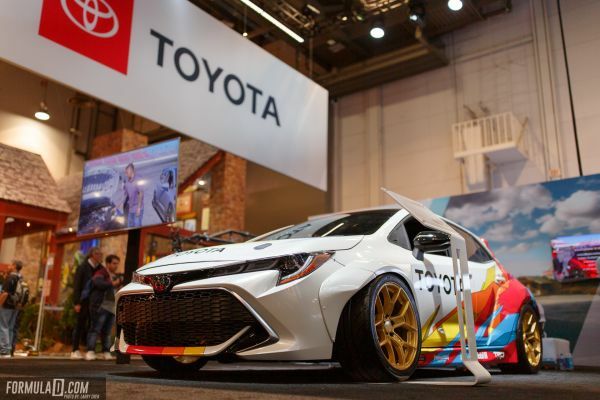 However, the highlight was an official Formula DRIFT demo that took place during SEMA Ignited on Friday evening and allowed show visitors to witness the sound and fury of professional drift machines in action. The results can be found on countless social media posts as new fans discovered the magic of the series. For now, the Formula DRIFT teams have returned to their workshops to develop existing cars or build new ones. The series organizers are already planning for the opening round of the 2019 season, which returns to its traditional home on the Streets of Long Beach, CA on April 5-6, 2019 for the Pro category. The first combined Pro and Pro 2 round will take place in Orlando, FL on April 25-27. Visit formulad.com for event details, ticket purchases, driver profiles and Livestream information.